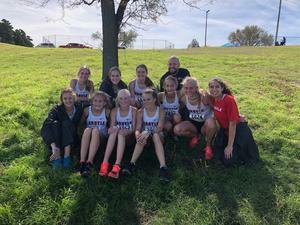 The girls cross country team competed in Lubbock at the Region I Cross Country Meet. As a team, they placed 5th out of 24 schools. 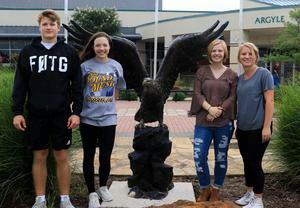 Individually, Lanie Rodgers, Alexandra Johnson, and Amaris McCasland qualified for the State competition to take place on Saturday November 3rd in Round Rock. Lanie placed 9th overall punching a ticket for her third consecutive trip to State, Alexandra placed 10th overall checking off yet another accomplishment on an already well accomplished season, and Amaris McCasland placed 13th. 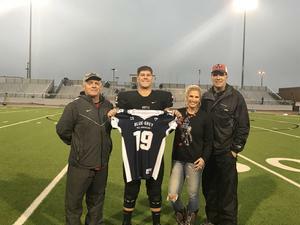 Senior Preston Wilson was recently selected to play in the 2019 High School All-American Blue-Gray football game in January of 2019. Preston has also committed to play football for Oklahoma State University next fall. Congratulations to Preston and his family. 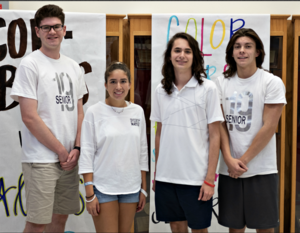 Congratulations to our 2018 Team Tennis Team. They won the district championship last week and begin their playoff run toward a state championship this week. Best of luck in the playoffs! Follow our Facebook page for updates and pictures of great things happening on campus. Argyle High School Wins State UIL Academic Meet for the 13th Time! Congratulations to the Argyle High School UIL Academic team who won State for the 13th time in school history!